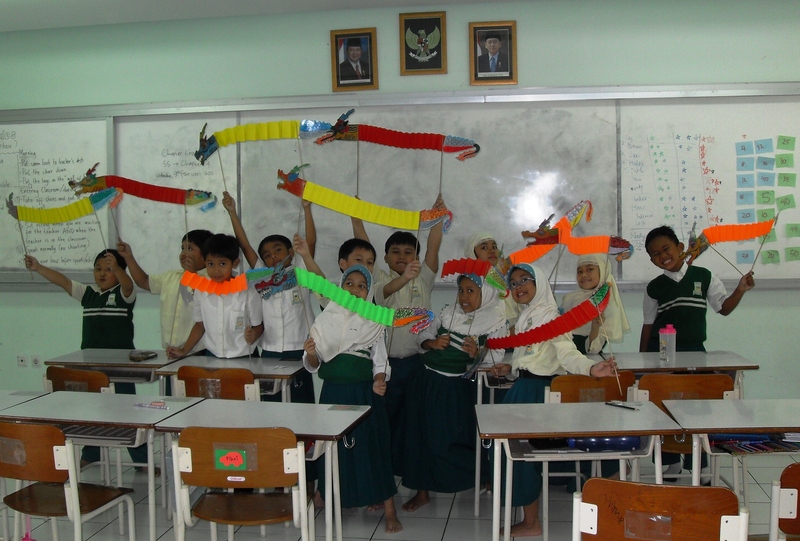 In my previous blog posting, I was writing about Chinese dragon as a craft project in my class. My students were working on it for 3 weeks, and this week they completed it! After the dragon heads and tails are connected to the body, I sprayed a layer of transparent paint on the dragon, till the head and tail of it looks shiny. Attach a pair of bamboo sticks on it, and the kids love to play with the Chinese dragon. Here is the result. This entry was posted in student's works and tagged artwork, Chinese New Year, craft, postaweek2011, Primary 2. Bookmark the permalink.